Frank Capra’s American Dreams is an eight-film retrospective that began last night, and runs into the new year, at the Aero Theatre in Santa Monica, CA. No director was better able to put on screen the hopes and wishes of the common man, and the perils of confronting corporatism and political graft. 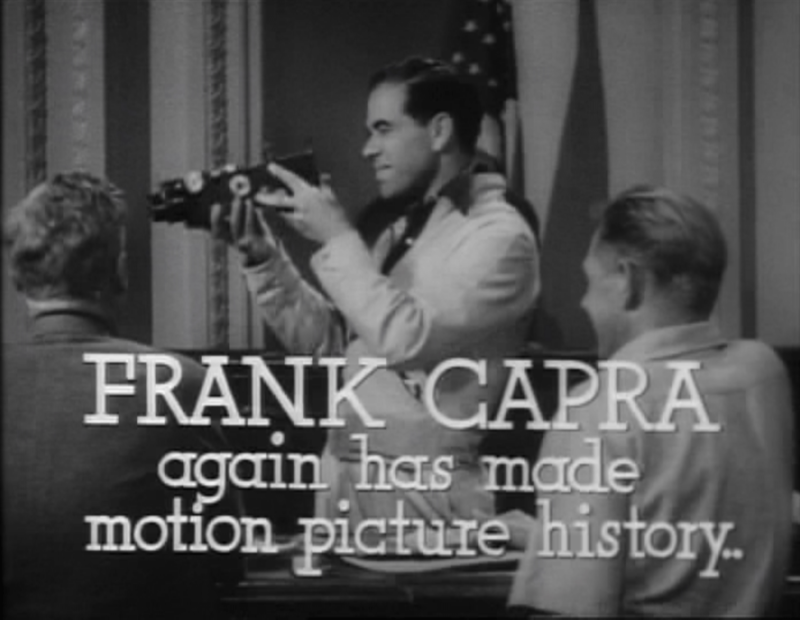 Born in Sicily, Frank Capra emigrated at the beginning of the twentieth century. His difficult ocean voyage to America and his lower-class childhood in East Los Angeles left indelible marks on the future filmmaker. As ambitious as he was poor, Capra became the first in his family to work his way through college. When opportunity knocked, he answered; bluffing his way into a movie studio job. Working with Mack Sennett and Harry Langdon, he established a track record for silent comedy, and that success continued into the sound era at Columbia Pictures. With 1934’s It Happened One Night, Capra hit the jackpot: The screwball classic was the first to sweep the top Oscar categories, taking home Best Picture, Screenplay, Actor, Actress, and Director awards (his first of three). Though Capra never abandoned comedy – he helmed such hilarious features as You Can’t Tale It with You and Arsenic and Old Lace – he increasingly used his cachet to explore serious themes, including politics (Meet John Doe, Mr. Smith Goes To Washington ) and business (It’s a Wonderful Life). Through it all, Frank Capra offered a vision of America where people were basically good and problems had solutions – a vision whose allure remains strong decades later. The series also includes The Bitter Tea of General Yen, Mr. Deeds Goes to Town, and Lost Horizon. Three screenings of It’s a Wonderful Life are included in the schedule of the Holiday Spirit series. Actors such as Jack Carson, Claude Rains, Peter Lorre, Alan Hale Sr., Gloria Grahame, Thomas Mitchell, James Gleason, Walter Brennan, Lionel Barrymore, Eddie “Rochester” Anderson, Beulah Bondi, and Ward Bond are stars in my Forgotten Hollywood Book Series. In my next work, due out in 2015, the stories of Edward Everett Horton and Edward Arnold and will be featured. All of these supporting players worked with Frank Capra. 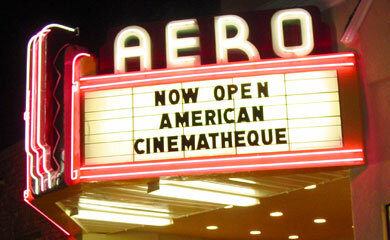 The Aero Theatre is located at 1328 Montana Ave. in Santa Monica. This entry was posted on Monday, December 8th, 2014 at 1:06 am	and is filed under Blog by Manny Pacheco. You can follow any comments to this post through the RSS 2.0 feed. Responses are currently closed, but you can trackback from your own site.